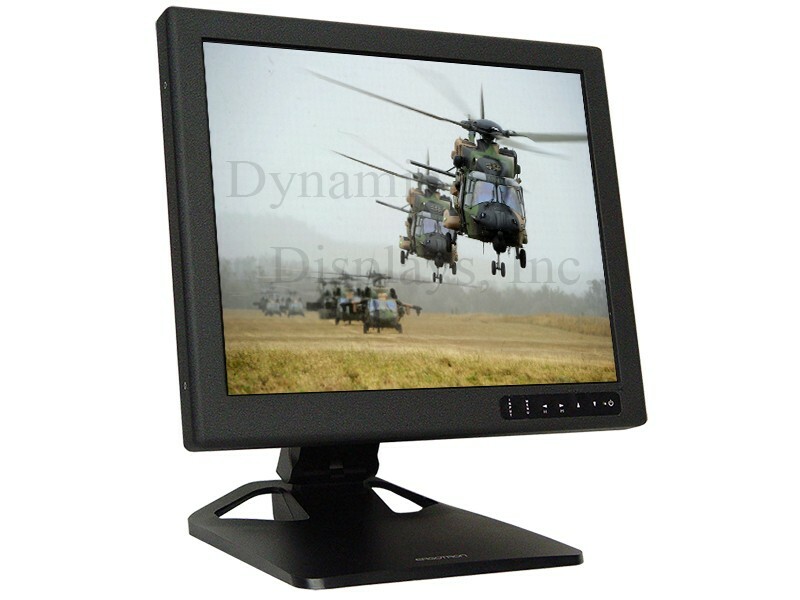 Target application platforms for the MRD1819-085 Rugged LCD Military Display Monitors include: Surface Ships Displays, Air Traffic Control, Military Navigation Display Monitor and Commercial-off-the-shelf (COTS) Military Displays Applications. Our 19” COTS Tabletop Rugged LCD Display (MRD-Series) was designed with shock and vibration safeguards provisions for extreme environments and designed to meet a wide variety of applications such as Shipboard, Airborne and Ground Mobile for use in extremely harsh conditions found in many rough COTS Military LCD Display Applications. Our Rugged MRD1819-085 19” COTS Tabletop LCD Display (MRD-Series) was designed to withstand the intense shock and vibration demands found in a wide variety of applications such as Shipboard, Airborne, and Ground Mobile Military LCD Display Applications. This rugged COTS 19" display is capable of operating with legacy timing such as RS-170 (525 Line) and RS-343 (875-Line) Interlace formats. 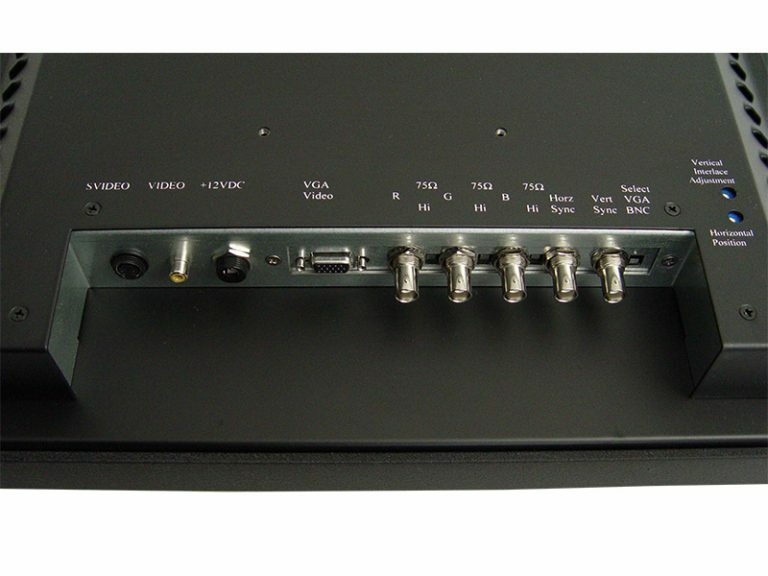 Also, NTSC/PAL Video (RCA Jack), S-Video (5 Pin Mini-Din) and VGA (HD15-DSub) Standard VESA Input Timings. With the availability of selecting aspect ratios of 1:1 or 4:3 on all video inputs through the use of the On Screen Display (OSD) Menu. The MRD1819-085 is a high performance 19” LCD Display, packaged in a heavy duty cold roll steel enclosure with heavy duty aluminum front bezel, internal rugged construction and bonded Anti-Reflective protective faceplate glass for superior optical performance and better protection in extreme environments. 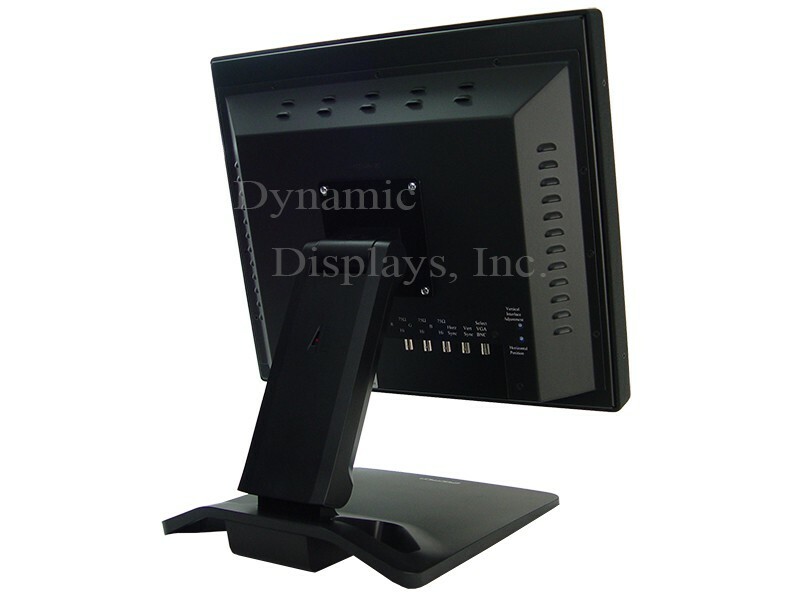 These features make this rugged, cost-effective 19” COTS Tabletop LCD Display unit great for use in demanding applications that require high-quality graphics, video, and other RGB data on a single, rugged display. Rugged MRD1819-085 19” COTS Tabletop LCD Display - Input Panel. Bonded Anti-Reflective Protective Faceplate Glass for Superior Optical Performance and Better Protection on Extreme Environments. RS-170 (525 Line) and RS-343 (875-Line) Interlace Formats. 5 BNC - RGB Sync On Green, RGB Separate Composite Sync or RGB Separate Sync. NTSC/PAL (RCA Jack) and S-Video (5 Pin Mini-Din). VGA HD-15D-Sub. Standard VESA Input Timings. Aspect Ratio: 1:1 or 4:3 (OSD Selection). Vertical Interlace Adjust and Horizontal Position Adjustment.